The Winner of the 2010 Millennium Technology Prize is Professor Michael Grätzel from Switzerland for his third generation, low cost, dye-sensitized solar cells. President of the Republic of Finland Tarja Halonen handed the EUR 800,000 Grand Prize and the prize trophy “Peak” to Professor Grätzel today at the Grand Award Ceremony at the Finnish National Opera, Helsinki. In its cabinet evening session of 21 April 2010, the Finnish Government debated applications submitted for decisions-in-principle on the additional construction of nuclear power. The intention is to bring these applications before the Government for its consideration on 6 May 2010. Three scientists have been shortlisted for the 2010 Millennium Technology Prize, the world’s largest award for technological innovation. The winner will be announced at a ceremony in Helsinki, Finland on 9 June 2010. The participants of the Millennium Youth Camp (MY Camp), to be organised in June in Helsinki, have been selected. From the initial 995 applications, one hundred 16 to 19 year olds were elected for the second round, and of these, 30 talented young people were finally selected for the camp. 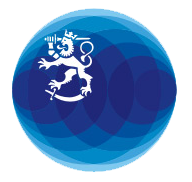 The new population information act obligates Finns residing abroad to update their personal data by notifying any changes thereto to the Population Information System, maintained by the Finnish local register offices. Finland’s national epic, the Kalevala, will be 175 years old this year. This major work compiled by Elias Lönnrot has had a strong influence on Finnish culture and national identity. Kalevala Day will be celebrated in Finland on the 28th of February. The Finnish authorities are taking very seriously accusations of poor treatment of animals on Finnish fur farms. The regional state authorities for the protection of animals have immediately begun inspections on farms where cases of neglect are suspected. Recent statistics on the regular official monitoring of fur farms show that the conditions in which animals are kept on Finnish fur farms meet the requirements under European and national legislation. The Baltic Sea Action Summit that was held in Helsinki on Wednesday, 10 February was a success in the opinion of the arrangers. The summit attracted a large and high-level group of participants to Finlandia Hall to tell about their commitments to protect the Baltic Sea. The summit was hosted by President of the Republic Tarja Halonen, Prime Minister Matti Vanhanen and Mr Ilkka Herlin, the Chairman of the Baltic Sea Action Group, who together convened the summit. Finland is part of a globalising world. We are a Member State of the European Union and are actively involved in international organisations such as the United Nations. Our economy and civil society organisations have also become increasingly international. Showing 21 - 30 of 34 results.